Apparel Desk: At a recent discussion on cotton, majority of WTO members affirmed their support for a meaningful and specific outcome on cotton domestic support, the chair of the agricultural negotiations, Ambassador Stephen Ndung’u Karau of Kenya, highlighted. Ambassador Eloi Laourou of Benin, speaking on behalf of the four West African cotton-producing countries, Benin, Burkina Faso, Mali and Chad (Cotton-4), stressed domestic support remains the cornerstone of cotton trade problem. Laourou said the Cotton-4 countries reflected on their priorities for cotton negotiations when they gathered at the 5th ministerial meeting of the Cotton-4 that took place in April 2017 in Cotonou, Benin. He reminded members that these priorities are to follow-up on the effective implementation of all WTO ministerial decisions on cotton and the progressive phase-out of all forms of trade-distorting domestic support for cotton and its by-products. The Cotton-4 countries have been attempting to derive an outcome on domestic support for cotton at the WTO’s 11th Ministerial Conference to take place in Buenos Aires in December 2017. Karau informed members these negotiations must be based on recent and up-to-date data on members’ policiesand support levels, especially in terms of domesticsupport. A background paper prepared by the WTO Secretariat was also discussed. The paper provides updated information on cotton based on new notifications, and includes new tables showing export volumes and share of world exports for major cotton exporters. The WTO Secretariat and International Trade Centre (ITC) deliberated on the market analysis tools that can help members better understand trade trends and policies in the cotton sector and presented a project, ‘cotton portal’ that would provide a single-entry point containing all the information available in the various WTO and ITC databases on market access, trade statistics, notified requirements, country-specific business contacts, etc. An International Cotton Advisory Committee (ICAC) presentation highlighted global cotton market is still characterised by a high level of cotton stocks while production has remained stagnant in recent years. India is now the largest cotton producer in the world, followed by China and the US, and the yields for many African cotton producers are still low with some potential to catch up in the coming years. The US is the main cotton exporting country, followed by West Africa and India. Bangladesh is now the largest importer, followed by Viet Nam and China. Cotton-4 also highlighted the importance of diversifying cotton products for export. Ambassador Sékou Cissé of Mali highlighted African leaders’ commitment to develop cotton value chains in Africa, upgrade skills and create more jobs in the sector. He noted that African cotton value chains are rich in knowhow and traditional craft, and are especially beneficial for women. 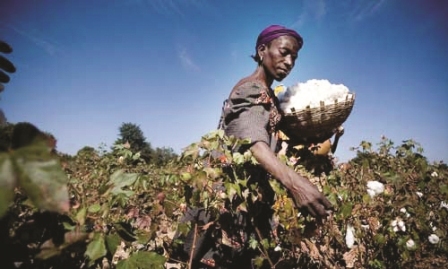 To achieve tangible results, donors, governments and the private sector must work together to ensure the inclusive and sustainable development of cotton value chains.